Preview your prototype in Studio. Publish your prototype to InVision for sharing, viewing, inspecting, and commenting. Publish your prototype to Freehand for collaboration in real time. Mirror your prototype on an iPhone or iPad to preview and test your design on a real device. Important: It is not possible to publish or preview a Studio document that does not include artboards. Remember, the Studio Shared Libraries feature lets you collaborate on your design components as well. Shared libraries give your entire team a simple, scalable way to ensure you're all using the latest iteration of each component. The Viewport, Scaling, Appearance, and Model settings accessed in the preview modal make it easier than ever to preview and present your prototype in an environment that's as realistic and immersive as possible. In the upper-right corner of the canvas, click the preview icon ( ). In the upper-right corner of the preview modal, click the settings gear icon ( ). Auto: Studio will automatically detect the optimal viewing area for the prototype. Full Window: The prototype will resize to fill the width and height of the preview window as you resize it. Phone: Choose one of 10 popular device models. Tablet: Choose one of 6 popular device models. Computer: Choose one of 6 popular device models. Watch: Choose one of 5 popular device models. Web: Choose one of 4 popular device models. None: View the prototype pixel-for-pixel as you've designed it. Fit: View the prototype scaled to fit the size of the preview window, so you will always see the whole artboard. Device: If your viewport is set to any phone, tablet, computer, or watch, you will see the Device option in the Appearance dropdown list. Shadow: Add a subtle shadow effect to the edges of the viewport. Border: Fill the area with a color. To change the color, click the color box to the right of the Appearance drop-down list. None: The area will be completely white. Note: The appearance settings are not available if you set your viewport to Full Window. If your viewport is set to any phone, tablet, or watch that is available (physically) in multiple colors and your appearance is to Device, you will see a Model dropdown list, which you can use to select your preferred device frame. Note: It's not currently possible to change the model (device frame) of a computer in the preview viewport. At the right end of the Studio toolbar, click the InVision publishing icon ( ). Note: The publish dialog will open, so you can choose the appropriate Viewport, Scaling, Appearance, and (if applicable) Model settings for the prototype. In the Name field, enter a name for the new prototype. Click the Viewport drop-down arrow, and then click (and preview) the device type you want to use when viewing your prototype on InVision Cloud. Note: To customize your viewport dimensions, choose any predefined device type, and then edit the text fields to the right of the Viewport drop-down arrow. If using Auto setting for your viewport, click the Scaling drop-down arrow and click either Fit or None. If using any viewport setting other than Full Window, click the Appearance drop-down arrow and choose your preferred settings. At the bottom of the publish dialog, click Publish. At the right end of the Studio toolbar, click the publishing icon ( ). Click the back arrow, begin typing the name, and then click the existing prototype in the results list. If you need to edit any of Viewport, Scaling, Appearance, or Model settings, click the corresponding drop-down arrows and choose the appropriate settings. Note: These options are described in the Settings table above. At the bottom of the publish modal, click Update. At the bottom of the publish modal, click New. In the Name field, enter a name for the new version of the prototype. Click the corresponding drop-down arrows and choose the appropriate Viewport, Scaling, Appearance, Model settings for the new version. At the bottom of the publish modal, click Publish. Perfect for initial collaboration (or any other stage, really), Studio makes it easy to sync prototypes to Freehand—where you can invite other people on your team to offer real-time feedback via the web. In the toolbar in the top-right corner of the Studio canvas, click the Freehand icon ( ). In the small dialog that appears, click the New button. To share a link to your newly published freehand, click Copy Link and paste the link into an email, text, or other message. To open your newly published freehand in your browser, click the open icon ( ). Use the device mirroring feature in Studio to preview prototypes in action on the InVision iOS app. Ensure that your computer and iOS device are connected to the same WiFi network. In the Studio toolbar, click the mirror icon ( ). This will generate a unique QR code. In the footer of the InVision iOS app, tap the QR scanner icon ( ). Scan the QR code displayed in Studio. This will automatically mirror the prototype to your device. To stop mirroring the Studio prototype to your iOS device, at the bottom of the Studio sync dialog, hover over the green dot next to your device name and click the X that’s revealed. Sharing your Studio prototypes with other people is currently done by sending a public link. It is not yet possible to invite collaborators or password protect Studio prototypes; however, anyone you share a public link with can view and comment, as discussed in the "Commenting on a Studio Prototype" section below. Under the prototype name, click Copy Link or click the URL itself to open the prototype in InVision. Open the published Studio prototype in InVision. At the bottom-right corner of the console toolbar, click the green Share button. In the Share dialog, click the Get Public Link button, and then click the link icon (to copy the link to your clipboard). Send the public link to the people you want to access your prototype. Important: Anyone with the public link can access your prototype, whether or not they are signed in to an InVision account. In your browser URL bar, select and copy the full URL. Note: Do not use Share button in the bottom-right corner of the console; that button is to copy a public link that anyone can use to access your prototype. Send the Studio prototype URL to the people you want to access your prototype. Note: It isn't yet possible to toggle off hotspot hinting for Studio prototypes viewed on InVision Cloud; however, if viewing a Studio prototype on the InVision iOS app or InVision Android app, you can toggle off hotspot hinting by entering user test mode. Along with the prototype owner, any collaborator with a share link to access a Studio prototype in InVision can comment on that prototype. To leave comments on a Studio prototype you’re viewing, in the console toolbar, click the comment icon ( ) or use the keyboard shortcut—C. To notify specific people about a comment, @mention them in the comment. 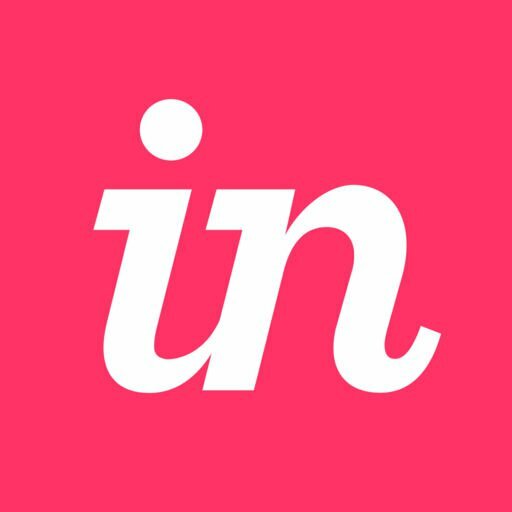 InVision Inspect makes it convenient for developers and project managers to grab everything they need from a Studio prototype to start building the project. To inspect a Studio prototype you have open in InVision, in the console toolbar, click the Inspect icon ( ) or use the keyboard shortcut—I.